In November 2017, Flemish writer, Peter Theunynck undertook a literary residency at Tŷ Newydd Writing Centre as part of our Poetry of Loss project. Read more here. During his time at Tŷ Newydd, Peter wrote a series of blog posts. This is the second chapter. Monday 6 November, 11.00 am. I have just landed at Manchester Airport. My first challenge: pick up my rental car. I get in on the wrong side. 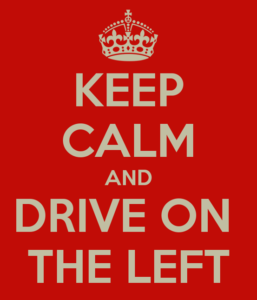 The steering wheel is on the right and I’ll have to drive on the left and shift gears with my left hand. My hands are clammy. Still in the parking lot I almost bump into a row of cars on my left. This really takes some getting used to. The first time I need to change gears, I reach out with my right hand into the void. There is no gear stick there, nothing! Hesitatingly I venture onto the Ringway Road. Fortunately I get onto the motorway almost straight away. There I have room and oversight. I can just keep driving in fifth gear (I only discover the next day there is also a sixth gear). Two hours later I am driving unhurriedly along narrow country roads towards Criccieth. Finally a sign: Llanstumdwy. I am almost there. My GPS does not know Tŷ Newydd, Google Maps is a lot smarter. Around half past two p.m. I turn into the drive of the Welsh National Writing Centre. Two squirrels welcome me with enthusiastic somersaults. My time at the residence can start. Tŷ Newydd is Welsh for ‘the new house’. New is a relative concept. The main building dates back to the 15th century. In the forties of the 20th century the house was restyled by the famous architect Sir Clough William-Ellis. 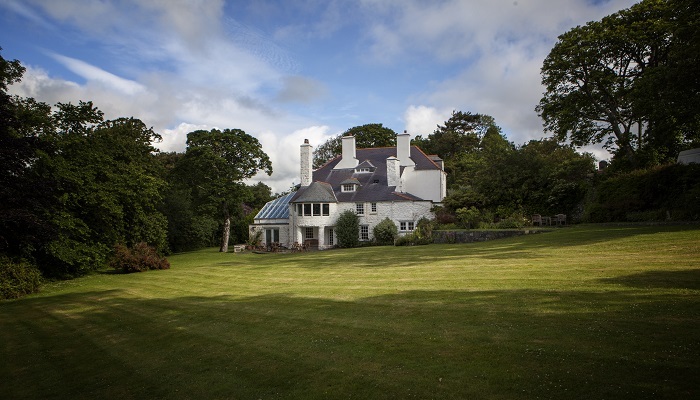 The client was the legendary David Lloyd George, who died in this mansion on 26 March 1945. According to local legend he is still haunting the place. Certain is that the house has been an inspiration for a whole generation of writers. Since the nineties it has been the location for workshops for creative writing. Now it has also become a temporary home to a foreign writer in residence. Read Part 1 of Peter Theunynck’s Welsh Adventure here.